This plant is up to 10 inches tall. 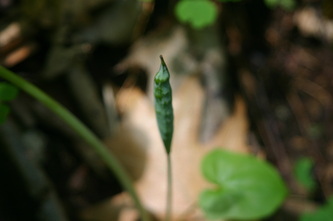 There is one basal leaf with 5 to 9 deep lobes, often curling around a smooth flower stalk bearing one white flower with a golden-orange center. 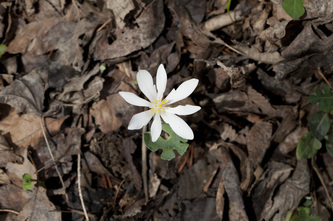 The flowers are white, regular, and have 8-12 petals. The overall flower size is up to 1.5 inches. 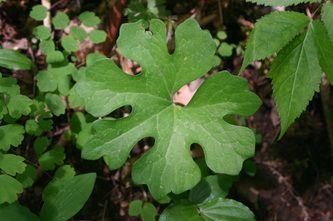 The leaves are 4 to 7 inches across and bluish-green in color. The fruit is bean-like. This is a fragile spring flower. It opens in full sun and closes at night. The flower is short-lived. The roots and stems have an acrid, orange-red sap that was used by Native Americans as a dye for baskets, clothing, and war paint as well as for insect repellant. This plant is poisonous if ingested. 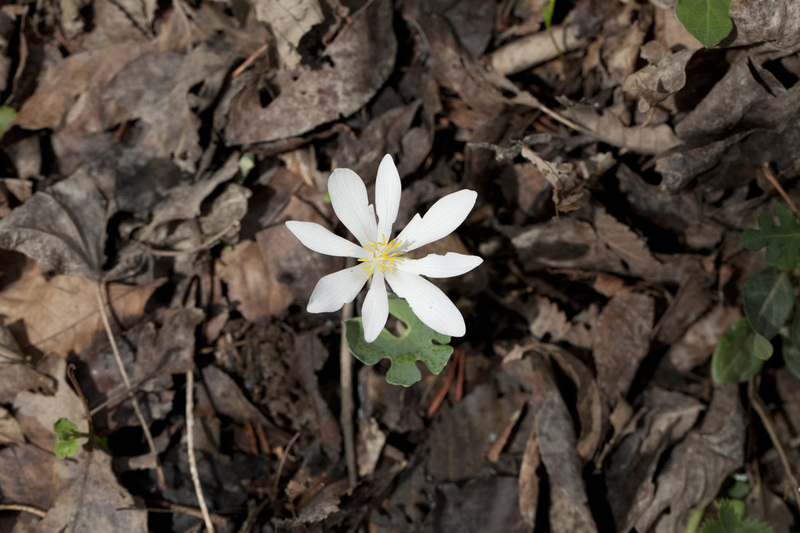 This flower is found in rich woodlands and along streams. It flowers from March to May.